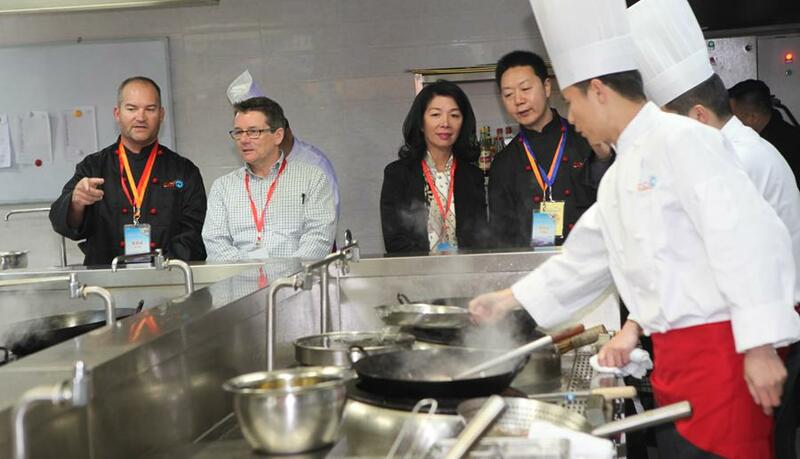 China Cuisine Association visits Australian Wild Abalone producers on a Gourmet Adventure! A very special collaboration between The Abalone Council Australia Ltd (AWA program) and the China Cuisine Association brings a delegation of Chinese Chefs and food & beverage buyers to Australia on a Gourmet Adventure, to sample and source beautiful Australian Abalone products and other Australian produce next month. The initiative is part of The Australian Wild Abalone Innovative Cuisine Design Competition, where 10 young Chinese Executive Chefs were selected from one hundred and fifteen entries to go through to a live competition cook-off in Beijing in November last year. The competition was judged by a panel of Chinese culinary experts, China Cuisine Association (CCA) Officials and attended by our AWA exporters - Blue Sky Fisheries and Streaky Bay Marine Products (from South Australia), and Ralph’s Tasmanian Seafood. The winner of the competition was Mr. Zhu Jie from Taizhou City, Zhejiang Province, for his beautiful culinary creation of Yue Xiang Australian Wild Abalone. He, along with the two gold medal winners, were declared official AWA Chinese Chef Ambassadors, and as their prize will embark on an Australian Gourmet adventure from 13th -19th March 2016. The Chinese chefs will be joined by the Vice President of the China Cuisine Association (CCA) Mr Bian Jiang, plus seventeen Senior Managers from various China based catering, hotel and restaurant entities. "The Australian Gourmet Adventure will provide a great opportunity for our AWA exporters to meet some of the key decision makers from the Chinese food sector. The events and activities we have organised for them will provide some excellent still and video images to upload to our Australian and Chinese AWA website and social media platforms" said Dean Lisson - Executive Chairman, Abalone Council Australia Ltd "It will be a great pleasure to host our Chinese friends and show them our wonderful coastline and abalone products." During their culinary tour they will visit three abalone producing states in Australia. They arrive in Melbourne on 14th, here they will see the Pacific Shoji processing factory, the group will be able to select their own live abalone straight from the tank to eat for their lunch! They will then travel to Tasmania and experience first-hand where the product comes from, how it is hand harvested and how it is processed and packed; with a boat trip to the dive sites and factory tours of Ralph's Tasmanian Seafood and Candy Abalone. They will have their taste buds tingled and tested at an Abalone and Whisky pairing event at Lark Distillery, and - if they have any time to spare - may be able to squeeze in a little sightseeing too! In Sydney, they will participate in a Seafood Theatre activity at the Sydney Fish Market, where the highlight will be an Australian Wild Abalone "Show and Tell" from Lucky Bay Seafoods (Dragon King Abalone)! Tickets for the Australian Wild Abalone Gala Dinner event sold out within a day and a half of the event registration going live earlier on this week!! The AWA team are working with the hotel to accommodate as many AWA stakeholders who wish to attend as possible, so please contact us if you would like to go onto the waiting list. The Australian Wild Abalone project team would like to thank all of the sponsors of the Australian Wild Abalone Gourmet Adventure, and the Australian Wild Abalone participants for their ongoing support. 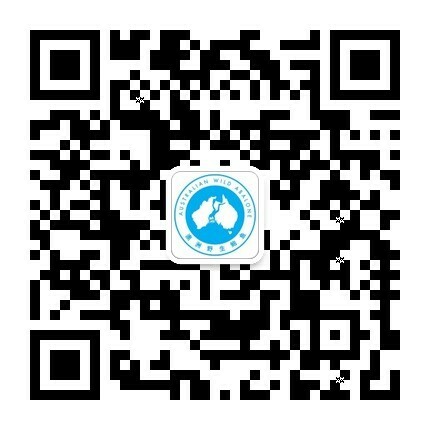 As you know Australian Wild Abalone has recently launched our Weixin (WeChat) & Sina Weibo official social media accounts! The Gourmet Adventure will give us some fantastic content for our China social media pages, this event integration will compliment our development and execution of innovative seasonal campaigns as a way to build followers and encourage engagement through viral sharing. We will be giving live updates to our digital team in China to showcase our where our beautiful Australian Wild Abalone products come from to our Chinese audience! We are currently running our first teaser campaign for Chinese New Year called “Dive with me” on both Weibo and We Chat, this campaign has been launched to generate a bigger audience by the sharing of "Dive ready" follower photos! The prizes for the most creative posts are hampers of Australian premium produce, the centrepiece being Australian Wild Abalone generously sponsored by Tasmanian Seafoods. We need your help to encourage AWA associates, chefs and other channels to follow the WeChat and Weibo accounts. These key contacts are also more likely to share relevant posts and raise awareness of the Australian Wild Abalone products and exporters. If you know of any restaurants in China that have Australian Wild Abalone on the menu or associates that would enjoy our China social media accounts please let us know. To subscribe to our We Chat pages they can use the QR code featured above and in the footer of this newsletter. We'll keep you posted on the Gourmet Adventure and other program activities but for the most up to date news please subscribe to our newsletter, link in to our facebook page or tweet with us on twitter - @AbaloneAWA!